I knew having a new baby would force my heart to expand to make room for more immense love. I knew a new baby would provide countless hours of cuteness and contented sighs. One thing I was not expecting. 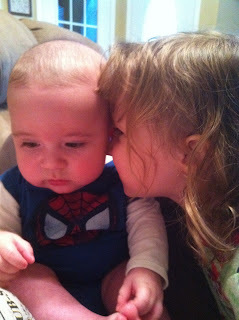 had not anticipated, was the absolute joy it is to watch Eva Grace and Isaac form their special sibling relationship. Now I know in the years to come, they will not always get along so splendidly. She will not take very well to her little brother always following her around and he will soon get fed up with her trying to use him as a dress up doll. But in these first few precious moments, there is nothing cuter than to watch them together. I kept waiting on terrible tantrums due to having to share her life with her new brother (we have had a few! 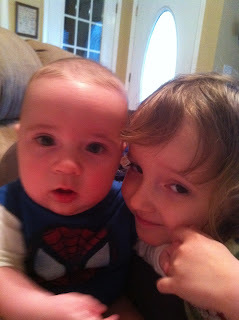 ), but for the most part, Eva Grace just loves Isaac, plain and simple. 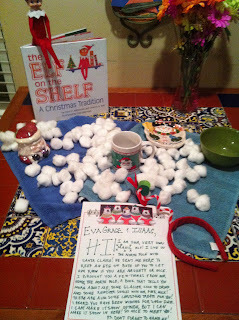 She is just as excited to see him in the morning as we are. She wants to love on him and play with him. And the look he gives her...you can already see how much he looks up to her. It is adorable.